The time has come to make an “EPIK” announcement! 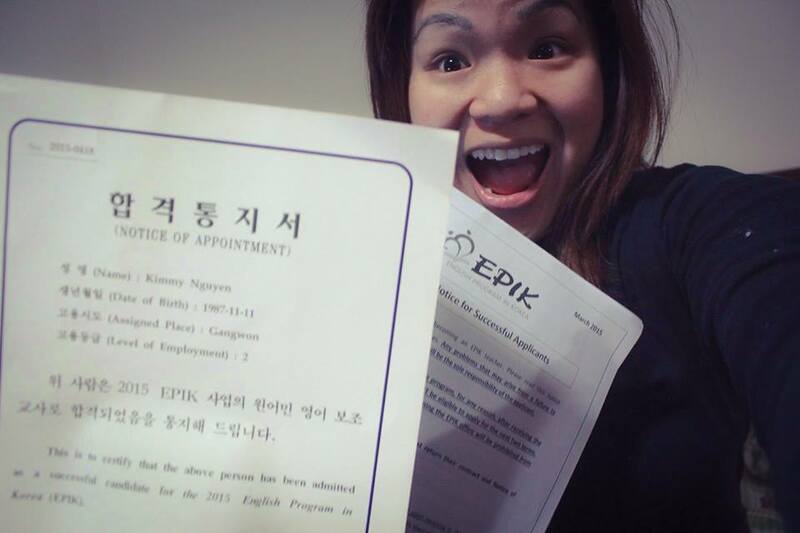 After months of frustration and agonizing anticipation, I have FINALLY received the official work contract from EPIK (English Program in Korea). In my earlier post just last month, I mentioned that I had been wait-listed with little chance of securing a position with EPIK. Turns out that EPIK is going through some major changes this year due to government budget cuts. They also will no longer be working with recruiters for future applicants. So instead of hiring over 1,500 English teachers like in the most recent years, that number has been reduced down to about ~300 teachers for this Spring 2015 term. Which means…I somehow slipped through the cracks of the application process and secured the position by some lucky draw. 1 out of 300 and something. Lucky me! I had been feeling not so lucky since the first phone call back in January. I started to apply for other programs in other countries, because I was so sure that this whole South Korean adventure was not in my fate. So I submitted applications for Spain and Colombia (which was a piece of cake compared to Korea’s requirements). Then…on the morning of Friday the 13th, I was awakened by the phone call from my recruiter telling me that I had been offered a position. For moments, I thought I might have still been dreaming in my sleep. It felt so unreal, so unexpected. What was the chances of this happening? I felt more conflicted than happy for awhile because I had just started getting comfortable with the notion of staying at least until my only brother’s wedding day in May. 48 hours. That’s how long I had to reply and accept the job offer. This was what I wanted for so long. It was the reason I went to Chicago to get TEFL certified. I spent over $300 dollars just on mailing off all the official documents they had asked for. It only made sense for me to grab this opportunity considering all the time and money I invested to apply. Yet, I felt so guilty accepting the position because I knew it would make my family terribly sad. I’ll share more about that never-ending story later…this post might get depressing if I elaborate. The good news is the plane ticket is booked! I did not want to share the news until I got the tangible contract in my hands. I waited and waited. My patience was starting to dwindle. I needed to sign something damn it! No worries, I know how to read all the fine print before signing my life away (i.e. like that time I initialed the skydiving contract stating that I knew death was a possibility =P) The work visa for Korea is the only major thing left for me to secure. There is still plenty of questions still unanswered. I still won’t know what city I will live in, what schools I will work for, how many kids I will teach, how old they will be, and most importantly…whether or not this life change will bring me great happiness. But you can be for damn sure, I’m going to find out. In how long you ask? Soon. VERY, VERY soon. The count down has begun. Cheers to a change! 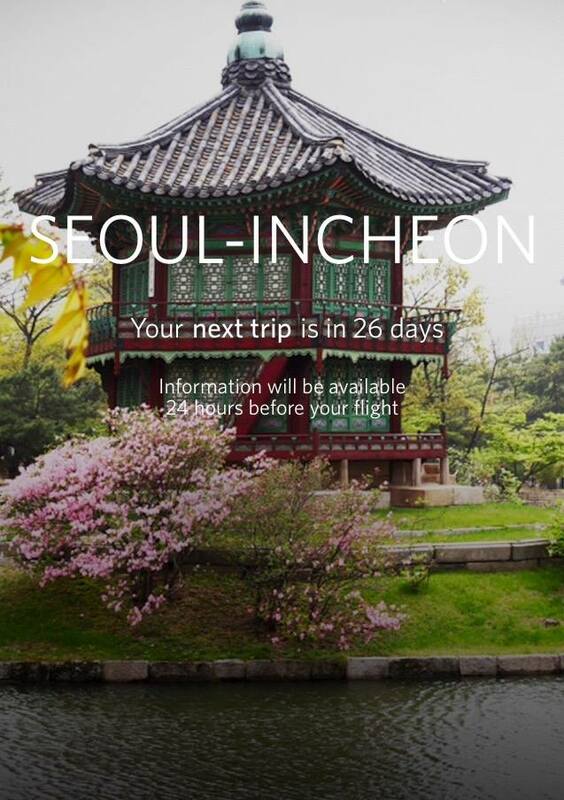 This entry was posted in EPIK, Korea, TEACH, Teaching and tagged Adventure, EPIK, Korea, Moving, TEACH, Teacher, Teaching, Teaching English. Bookmark the permalink.